It's the most wonderful time of the year! I'm so obsessed with end of the year recap posts - both writing mine and reading others' posts. I love getting a snapshot of what everyone has read this year and looking back at my year in books. It's always nice to highlight some of my favorites, reflect on some of the best moments and gather my thoughts before moving into the new year. So, let's do this thing! I'm really sorry, but there's no way I could pick just one overall favorite. But I did narrow it down to six, and you'll definitely see some of the same books crop up on the rest of my survey. The one that I was most excited for but was ultimately most disappointing was The Turncoat by Donna Thorland. My minor frustrations with the book became amplified due to a heroine that didn't make any sense. I definitely have to go with All The Truth That's In Me by Julie Berry. I almost completely overlooked the book because of the cover, but a great review from a trusted blogger convinced me to give it a second look. I'm so glad because this ended up being one of my favorite reads of the year! 4. Book you read in 2013 that you recommend to people most in 2013? There are actually three books that I read and recommended most in 2013. They absolutely, no contest, are: Me Before You by Jojo Moyes, Nowhere But Home by Liza Palmer and Burial Rites by Hannah Kent. As a series addict, there's no way I'm choosing one. I started and loved Under the Never Sky and Through the Ever Night. While I got off to an iffy start with Cinder, I ultimately fell in love with The Lunar Chronicles after reading Scarlet and Cress. I just binge read The Girl of Fire and Thorns, The Crown of Embers and The Bitter Kingdom in about a week and totally fell in love. But, of all the series I discovered this year, I think I have to say that Throne of Glass and Crown of Midnight were my favorite. While you should check out my Top Ten Tuesday post about my 2013 author obsessions to see the depth of my author love this year, I've got hand Rainbow Rowell the crown. I read all three of her books, became obsessed and then saw her speak in person and realized she's even more awesome than I'd imagined. The Lunar Chronicles was definitely a new genre for me since science fiction is not my thing, but I've actually got to go with Katie McGarry's books on this one. While I've read a lot of contemporary, I'd initially dismissed her books because they are more romance than contemporary. Major thanks to Betty and Cassie for convincing me to give them a shot! I'm absolutely in love with the covers of Burial Rites and Fangirl. I think Burial Rites is absolutely gorgeous and so eye-catching, and I think Fangirl is so refreshing, adorable and fits the book perfectly. As a reader who craves well-developed characters, it should be no surprise that the three characters I found most memorable are the heroines of my three most recommended books in 2013: Agnes from Burial Rites, Queenie from Nowhere But Home and Louise from Me Before You. All three women have stayed with me over the year - popping up in my thoughts and setting the standard for what it means to be a memorable character. No question - Burial Rites by Hannah Kent. This was one of the most gorgeous, well-written books I've ever read. I am dying to get my hands on more books from Kent. I'm so impressed with her talent at such a young age. I cannot tell enough people to read this one! While my three most recommended books had a significant impact on me, I want to highlight another book that really affected me: Just One Day by Gayle Forman. While I didn't relate to everything in Allyson's story, I still found myself so attached to her growth as a character. I related to some of the lessons she learned and found myself really moved by the way she finally begins to come into her own. 14. Book you can't believe you waited UNTIL 2013 to finally read? I can't believe I waited until this year to read Under the Never Sky by Veronica Rossi. It took me a little bit of time to get into the book, but I was hooked once I finally did. I love the world and the characters Rossi created, and I'm sad about saying goodbye to them in the new year. Alice's Adventures in Wonderland by Lewis Carroll was my shortest read at 96 pages. Les Misérables by Victor Hugo was my longest at 1,330 pages. 17. Book that had a scene in it that had you reeling and dying to talk to someone about it? 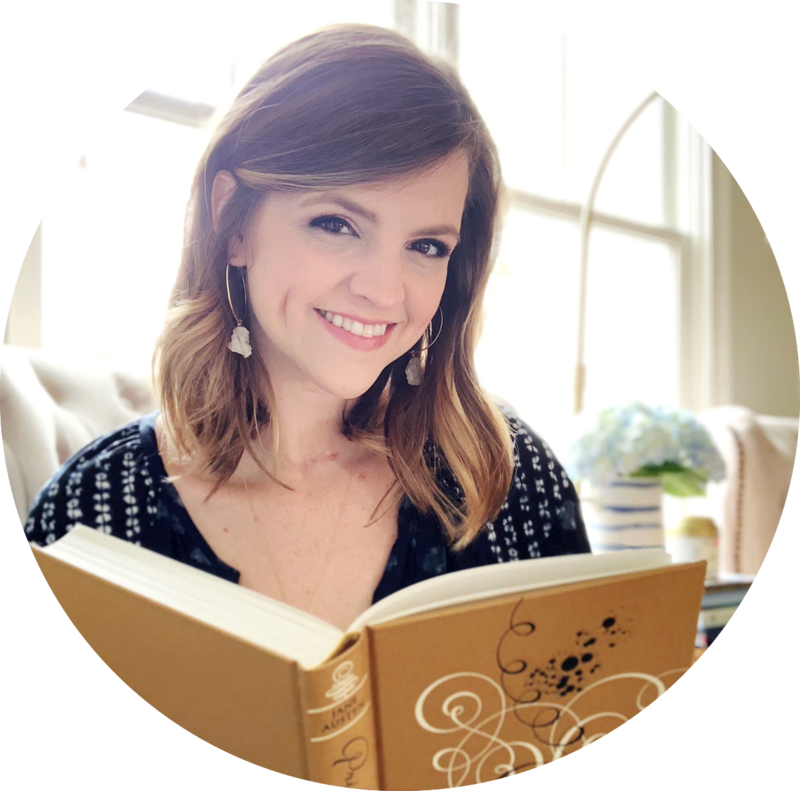 It wasn't my favorite book in the series, but I was dying to talk to someone about the relationship developments in The Indigo Spell by Richelle Mead. While the turn of events wasn't entirely surprising, I just had chat with someone about what might happen with this new couple in the future! My favorite sibling relationship was Queenie and Merry Carole from Nowhere But Home. I can't get enough of those two ladies! My favorite friendship was Jennifer and Beth from Attachments. Their emails just made me grin like a fool and totally sold me on them. And my favorite romantic relationship? Chaol & Celaena (Crown of Midnight), Will & Lou (Me Before You), Levi & Cath (Fangirl), Sydney & Adrian (The Fiery Heart), and Hector & Elisa (The Crown of Embers and The Bitter Kingdom). Yeah, sorry, I can't just pick one. 19. Favorite book you read in 2013 from an author you've read previously? I definitely think it was Unravel Me by Tahereh Mafi. I was thrilled when it turned out to be even better than Shatter Me and a wonderful continuation of that series! Estelle from Rather Be Reading really pushed Attachments and had me so intrigued by it. I'm so glad she recommended it so highly! I fell in love with this story and have since recommended it to so many friends. 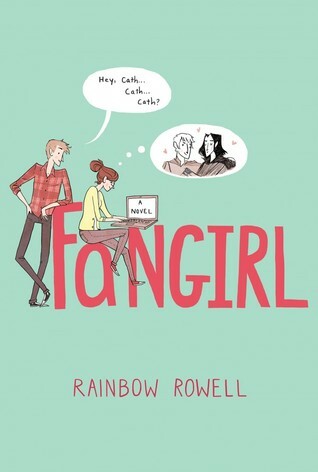 And it was very first introduction to the wonder that is Rainbow Rowell! It's actually just about a tie between contemporary and historical fiction, but I also read a surprisingly high number of books that could be categorized as fantasy. I also read more young adult than adult fiction this year, but I still managed to work in a little non-fiction, too. I totally crushed on five new fellas in 2013. My three "good guys" were Chaol from Throne of Glass and Crown of Midnight, Levi from Fangirl and Hector from The Girl of Fire and Thorns series. And the two "bad boys" that stole my heart were Adrian from the Bloodlines series and Isaiah from Crash Into You. You're in for some serious swoon with those gents! Unsurprisingly, my favorite adult debut was Burial Rites, and my favorite young adult debut was All The Truth That's In Me. Both were such fantastic reads - and historical fiction (my favorite) to boot! Without question, this goes to Throne of Glass and Crown of Midnight. Since the world building aspect is usually turns me off of fantasy books, the fact that I loved the world in these books just as much as I did the characters and action really says something about how much I'm enjoying this series. I had the most fun reading Someday, Someday, Maybe by Lauren Graham in the first third of the year, the Heist Society series by Ally Carter in the second third, and Past Perfect by Leila Sales in the final third of the year. Each book was so much fun and had me grinning at the pages while I was reading! While Me Before You should have been the biggest tearjerker of a read, I actually cried more while reading Nowhere But Home. I absolutely fell in love with Palmer's book (if you can't already tell), and I cried at least three times in it. And it's not really a sad book. And I don't cry when I read. Something about that one just got to me! The book I loved that I think got overlooked this year is The Caged Graves by Dianne Salerni, and the book I loved that I think got overlooked the year it came out is Past Perfect by Leila Sales. Why aren't more people talking about these two books? I found so many great blogs this year! My very favorite new blog discoveries are the ones where I've come to know and love the blogger behind the screen. Those are Betty from Book Rock Betty, Cassie from Books With Cass, Alexa from Alexa Loves Books, Kelly from Belle of the Literati, and Judith + Ellice from Paper Riot. 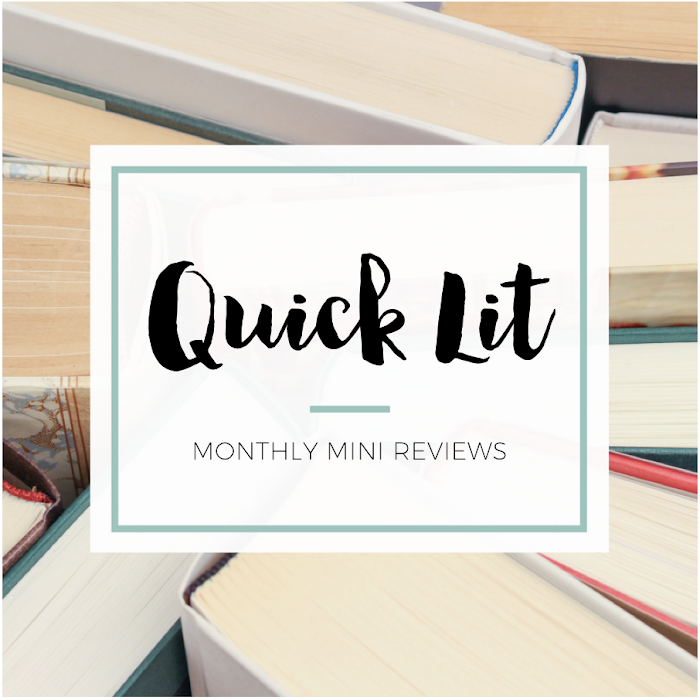 Thankfully, I actually thought I liked the reviews I wrote from my favorite books this year: Me Before You, Nowhere But Home, Burial Rites, and All The Truth That's In Me. I think my love for the books was evident in each review. I also liked two reviews where I mixed up my format - Unravel Me and Attachments. I think changing it up made those reviews fun and two of my favorites! I'm so glad I made it a goal to have more discussion posts on my blog this year because they ended up being some of my very favorite posts this year! The ones with the best discussion were: On My Commenting Habits, On Being A Series Addict, On The Classics Conundrum, and On My Rating Dilemma. I loved two discussion posts that Judith from Paper Riot wrote: Books Belong To Their Readers and These Books Will Kill Me. Confession: I loved both posts so much and had so many thoughts on them that I kept them both open in my Internet browser for 2+ months... and then never commented. Be better than me, y'all! The Summer Series Challenge! This was my very first challenge experience (Goodreads reading goal doesn't count), and I hope it's not my last. I had so much fun participating! I got to write a guest post for the challenge and was able to accomplish so much. I really hope to join in again in 2014! I went to three book signings this year that were so much fun: Veronica Rossi and Tahereh Mafi, Gayle Forman and Stephanie Perkins, and Rainbow Rowell. These ladies are five of my favorite authors, and I really enjoyed the chance to hear them talk about their books and get my copies signed. I've never attended a signing prior to blogging, but now I've always got my eye out for authors coming my way! BUT the absolute best moment of blogging was when Cassie and I got to interview Liza Palmer for our blogs. I loved getting to hear from one of my new favorite authors, and she was sweet and generous enough to send us each a signed copy of Nowhere But Home. Did I geek out over the book + the sweet card inside? YOU BET. My most visited non-book review post was my Kindle Paperwhite Review, and my most visited book-related post was my Burial Rites review. My post with the most comments was, ironically enough, my discussion about my commenting habits. While there are always reviews that I wish got a little more love, I actually would have loved to hear some more movie suggestions on my post about my love for costume dramas. I also wish my A to Z Survey got a little more attention - mostly because it took me forever to answer the questions. Hah! NetGalley! I'd heard people talk about it prior to 2013, but I didn't join until January of this year. I have a love/hate relationship with review books, but I can't deny that I love browsing this website. 10. Did you complete any reading challenge or goals that you set for yourself at the beginning of this year? I did - I completed and met my goals for the Summer Series Challenge and the Goodreads Reading Challenge! To see more how I did on my other goals this year, check out my 2013 resolution recap. 1. One book you didn't get to in 2013 but will be your number one priority in 2014? How about every single book I just HAD to buy this year but still haven't read? There are really way too many books that fit this description. The two that I think top the list are the ones that I cared enough to pre-order: Dark Triumph by Robin LaFevers and Across A Star-Swept Sea by Diana Peterfreund. 2. Non-debut book you are most anticipating for 2014? Too many to choose from for this question, but I am really excited about reading The Here and Now by Ann Brashares and Landline by Rainbow Rowell. Check out this Top Ten Tuesday post to see what else I'm dying to read in 2014. I'm really looking forward to a new historical fiction debut in 2014 - The Prisoner of Night and Fog by Anne Blankman! I think I'm most anticipating Into the Still Blue by Veronica Rossi and Ignite Me by Tahereh Mafi. I'm excited, scared and sad for the end of both of series! Check out this Top Ten Tuesday post to see what other series/sequels I'm dying to read in 2014. Honestly, I really hope to get more control over my TBR and stop buying so many books that just go unread for weeks or months. I'd also love to do more re-reading in 2014 since that's something I've barely done since I started blogging. I love reading these end of the year posts. They are so much fun to reflect on the year. I hope 2014 brings you a year full of happiness and joy. I really love reading these posts, too! So much fun to get a summary of everyone's year and get excited about the new year :) Hope 2014 is wonderful for you! 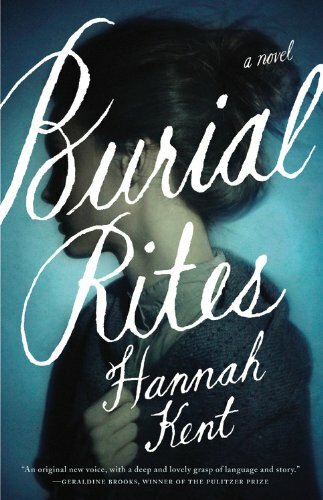 I'm so glad that Burial Rites on your list of book you want to buy super soon! You'll have to let me know what you end up deciding! So happy that I bring new titles to your attention :) That's such a compliment! Glad you agree on buying less and reading more of what you own. I have got to get better in 2014! Like you, I did worse with the buying thing than the reading a mix of books. That wasn't too bad for me. Your Kindle Paperwhite review was SO HELPFUL to me! The best. I've not heard of Burial Rights, but it is now on my TBR! Thank you for having such a refreshing, fun, legit blog. YOU ROCK. The end. PS-I'm totally jealous that you got to see Rainbow Rowell and Stephanie Perkins!! Very cool!! I adore you and your blog so much, my dear Hannah! Thank you for including me in your survey <3 I love that I know I can find hidden gems when I read your reviews, especially when it comes to adult fiction. While I've only read one of your three most recommended books (Me Before You -- and yes, I adored it! ), I do own Burial Rites (hurrah for Kindle!) and will be buying Nowhere But Home when I take myself off my book buying ban... eventually. Obviously, I definitely agree with your resolutions. I'd love to be able to read more of the books that I already own, as well as re-read a few of my favorites (especially the series). I'm hoping this year will be a relaxed one for me blogging-wise, and wishing the same for you. Here's to more great reads and fun blog posts (and maybe a collaboration -- wishful thinking) ahead of us! You've mentioned so many amazing books in your answers! I am especially excited to read both Rainbow Rowell's books and the Lunar Chronicles very soon. I can't believe I still haven't read any of those yet! I did read All The Truth That's In Me and that book definitely surprised me, it wasn't what I expected at all but I really loved it.